The world is shifting towards the Internet of Things (IoT), IoT Solutions, and Big Data Solutions and rightly so; IoT is the next big wave in computing. We, at Abi–Tech, can make a highly positive impact through IoT based solutions across enterprises, organizations and verticals. We have every reason why we are one of the best IoT solutions and Big Data Solutions Providers in Singapore. With our Big Data solutions, we help automate the process of converting huge amount of complex and disparate data into a ready to use business model and data store. This can be readily used by business owners and data analysts to visualize analyse and report data across a number of sources such as web click streams, social media and data warehouses to construct a 360 degree view of any business. We support major BigData sources like Hadoop, Hbase, Spark, MapReduce, Flumes, Cassandra, etc. It is our aim to convert your complex data sets into effective & intuitive reports, visualizations and dashboards backed by big data analytic services such that business owners can have piercing insights into their businesses. This will help them identify the improvement as well as progress areas fast and easy. Some of the tangible benefits of our big data services include integrated platform, scalability, multiple data & formats and rapid deployment. 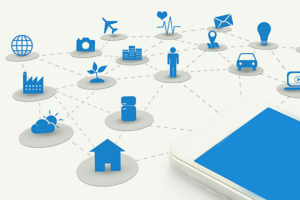 As one of the leading IoT companies in Singapore, we engage in technology consultation; offer application, maintenance, and evolution of IoT solutions; Wearable IoT technologies; Embedded IoT technologies and sustainable technological growth. Our IoT offerings start with IoT Solution Design & Development, System Integration, Migration and IoT Support & Maintenance. We are specialists in customising and aggregating a gamut of IoT devices and gateway, linking them to the Internet. As a smart and an innovative technology partner, we help our clients stay ahead of competition. Looking to partner with us? We can talk to you on our iOT deployment use cases. Please drop us your enquiries if what you are looking for is end–to–end iOT solutions in Singapore.